We like to believe that our dogs, if given a choice, would choose us over someone else, especially a stranger. 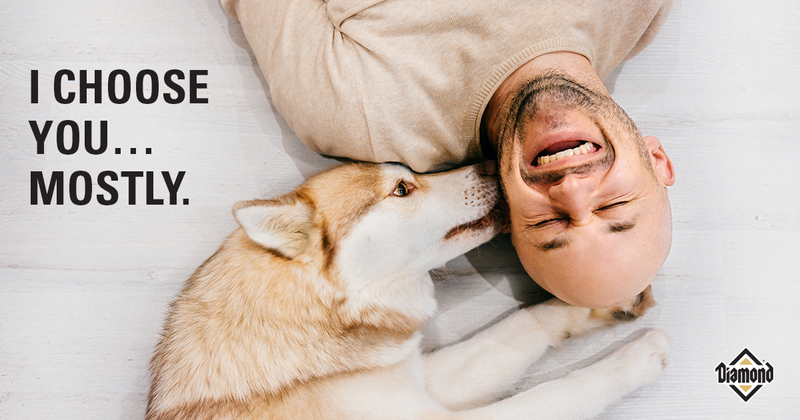 That belief is supported by several studies that show the dog-owner relationship is important to our canine companions. However, a new study shows the bond between owner and dog may be a little more complicated. Whether your dog prefers to spend time with you or a stranger depends on the situation. And you may not like what researchers found. In a study conducted by behavioral researchers at the University of Florida, pet dogs simultaneously met their owner and a stranger in one of two environments, a room in the dog’s home or an unfamiliar lab room at the university. During the 10-minute sessions, which occurred after a 2-minute room acclimation period for the dogs, dogs were free to do whatever they wanted. Dogs could stay near one person, alternate between the two or interact with neither one. If the dog approached, the person would pet the dog for as long as they were close, focusing on the part of the dog’s body closest to them. The pet dogs’ preference was situation-dependent, the researchers found. In the unfamiliar place, dogs spent more interaction time with their owners — nearly 80 percent. But in a well-known, familiar place, preference was reversed, with dogs spending more time with the stranger and only about 30 percent of time with their owner. Researchers also tested how pet dogs and shelter dogs behaved with two strangers at the same time. One group of pet dogs was tested with two strangers in an unfamiliar environment, a second group of pet dogs interacted with two strangers in a familiar setting and a group of adoptable shelter dogs was tested with two strangers in an unfamiliar environment. Both pet dogs and shelter dogs showed a preference to be petted by one of the strangers over the other. Researchers aren’t sure why all dogs chose one stranger over the other rather than interacting equally with both people. However, their findings suggest that dogs can quickly and readily form new social relationships with new people within the first 10 minutes of interaction. Which begs a question: If you adopted your dog from a shelter or rescue group, did you choose your dog — or did your dog choose you?